Beautiful Incentives: Experience the new #Hotornot #app! 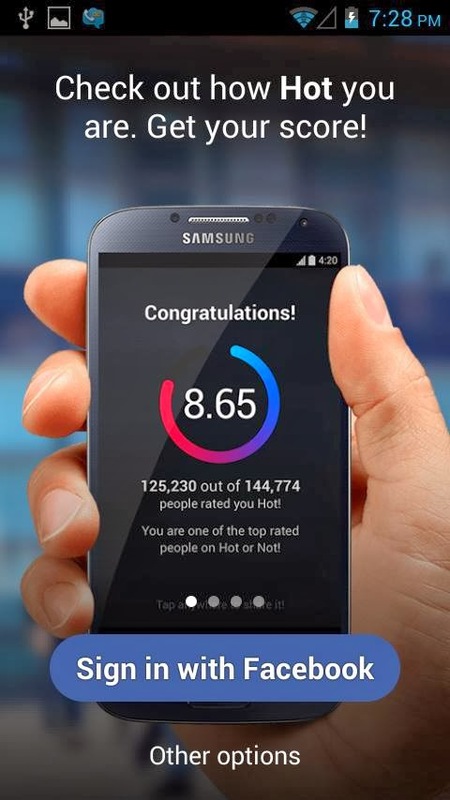 Experience the new #Hotornot #app! Have you ever used an online dating app that allowed you to rate pictures of people and have your pictures rated by them for free? Does it sound like a fun en-devour? Then read on. Remember that online dating site called Hot or Not? I can date it back to at least 2001, when I was in college. I used to be on there all the time with a friend finding interesting people to talk to. It had a huge variety of people. I stress the word variety. It was fun at that age and enabled me to skip the pain in the arse that was blind dating. Some may find this superficial and while yes, of course it is. Aren't we are all superficial to an extent? It's not all based on looks, but seeing what our maybe potential partner will look like and getting to know them prior to setting up any kind of committed date is a lot more convenient than showing up to a blind date that turns out to be awkward where you have little in common and may not be attracted. We live in an instant gratification society, where everything is made easier with apps in a busy world. Dating is part of that equation and I think, despite the name, it's a lot like any other dating site. Though, I would say more triggered to the younger crowd. Even if we didn't find someone that fit our fancy, we had a lot of laughs and fun perusing the site. Using the App was incredibly easy. 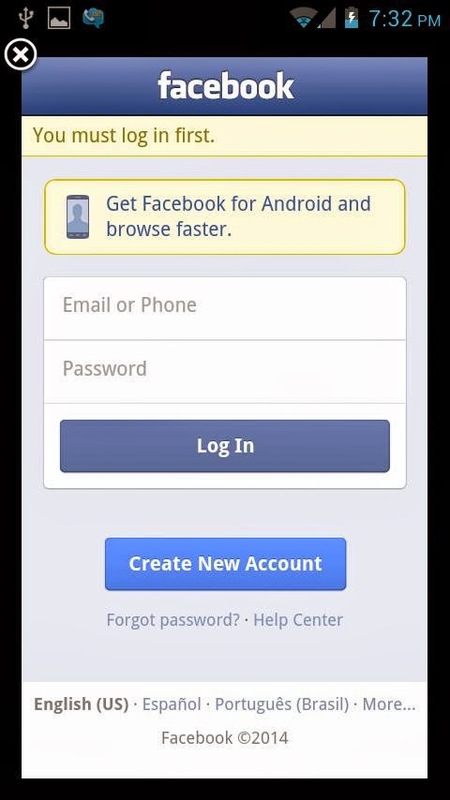 It downloaded on my android without a hitch and I signed in via Facebook. Once signed in, the next step was to upload some pictures of myself to be rated. This step went just as fast as the other. Then, it is just a matter of waiting for someone to rate you and contact you. 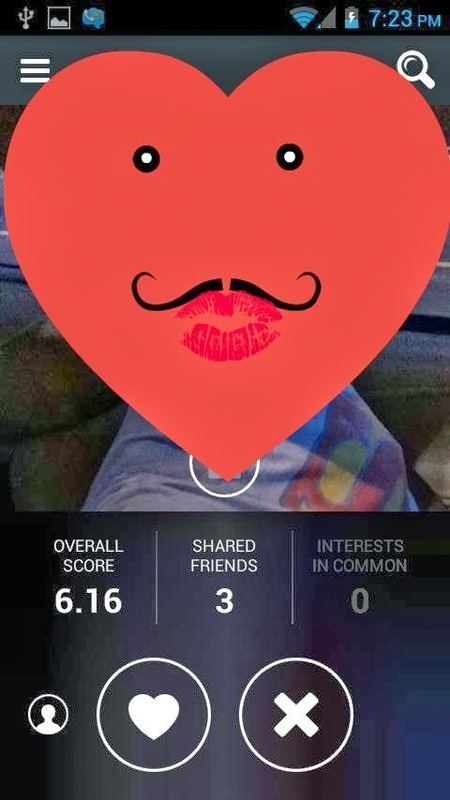 Here is an example of a random man on the site that was rated and made 3 friends since using the hotornot app. Person censored for privacy purposes. I had a fun time reliving this experience via the Hot or not app. It was nostalgic and interesting to see it in app form rather than on my desktop. I have to say, It would have been a lot more fun if I could have had it portable like this. Picture being bored waiting for a an appointment or class and wanting a little pick me up. Go to Hot or not and see who rated you. Alternatively, you may get a rating that you could have done better without knowing, but always remember that one person's poison is another's aphrodisiac. One person's trash is another's treasure. There is someone for everyone and not everyone will be attracted to you. 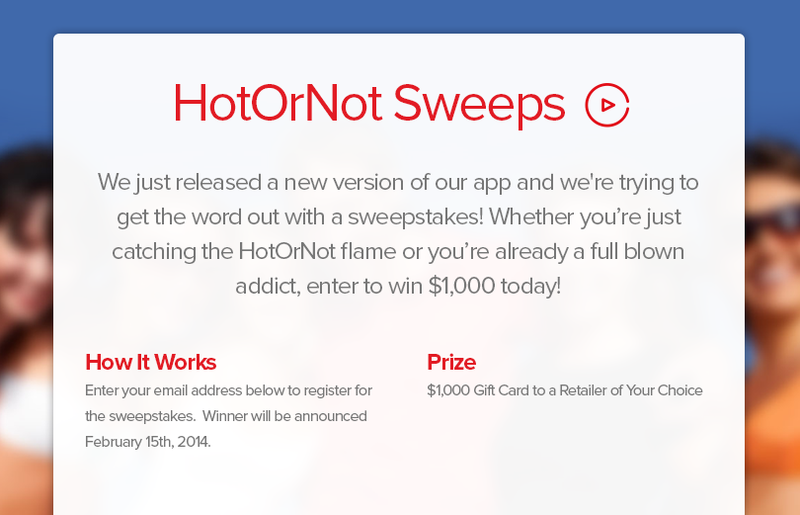 Right now- There is a Hot or Not sweepstakes for your chance to win a $1000 Gift card to any retailer of your choice! Will you be lucky enough? Enter here for a chance to win! Winner will be announced February 15th 2014!